Nhưng, thực tế lại là bạn không thể chỉ nói điều gì đó là will happen. Bạn chỉ có thể dự đoán rằng nó có thể xảy ra chứ không phải sẽ xảy ra. Tức là bạn chỉ có thể dùng ‘may’ hoặc ‘could’. Tuy thế, modal verbs như may hay could lại thiếu rõ ràng, không chắc chắn, (và theo một giám khảo nói với tôi thì modal verbs này mang yếu tố chủ quan mà chúng ta lại cần phải khách quan). Đó chính là lí do tôi hướng dẫn các bạn về cấu trúc dự đoán, cấu trúc dự báo tương lai trong IELTS Writing Task 1. 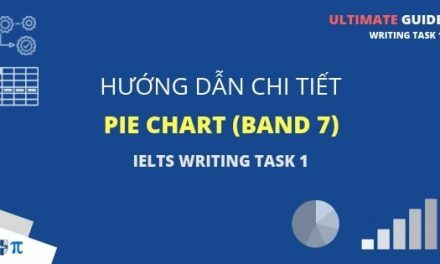 Một chương trình học IELTS Writing Task 1 đầy đủ, khoa học và chi tiết với nhiệm vụ giúp bạn có thể tự học IELTS Writing Task 1 và đạt Band 6-5 - Band 7.0+. Đổi lại bạn chỉ cần dành ra 30 phút cho mỗi bài học, làm bài tập đầy đủ và học tập thật sự nghiêm túc. Chương trình hoàn toàn miễn phí!!! Và nhớ là sau that là một mệnh đề đầy đủ nhé. Và khi bạn sử dụng cấu trúc này thì ở mệnh đề sau that, bạn sẽ có thể sử dụng will rồi nhé. It is predicted that the population will increase to 8 billion at the end of this century. An increase in the population to 8 billion is predicted at the end of this century. Over the period of prediction, the population will increase to 8 billion. 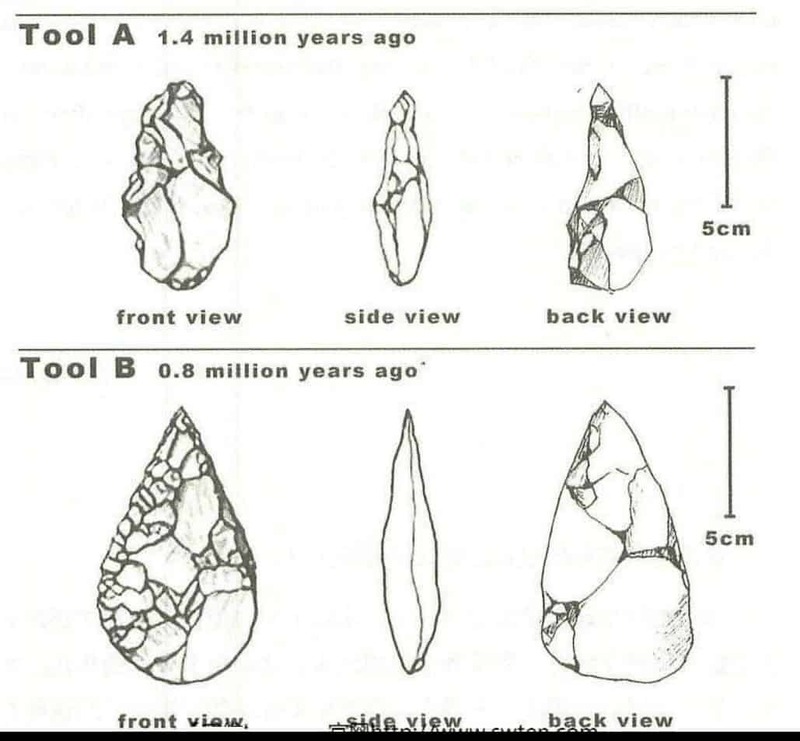 (Với điều kiện là giai đoạn dự đoán period of prediction là trùng với thời gian bạn muốn nói nhé). 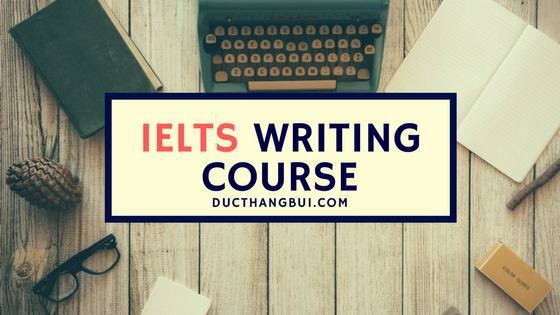 Bạn luôn cảm thấy kỹ năng IELTS Writing không có tiến bộ vì viết bài IELTS Writing mà không có người chữa? Bạn có thể đăng ký chữa bài cùng tôi. Tôi đã giúp các bạn học viên chăm chỉ nâng từ 1 tới 2 band điểm sau khóa học, liệu bạn có thể nâng điểm như vậy? Ở đây mình lấy một bài ví dụ (rất điển hình) về cấu trúc dự đoán và áp dụng vào trong bài viết mẫu nhé. Bạn hãy phân tích đề, sau đó xem 2 bài mẫu ở dưới và các cấu trúc dự đoán đã được highlighted rồi nhé. The graph below shows the proportion of the population aged 65 and over between 1940 and 2040 in three different countries. Summarise the information by selecting and reporting the main features, and make comparison where relevant. Since 2000, Swedish population is predicted to be older than American population and probably continue to increase in the next 40 years. However, the proportion of older people in Japan is predicted to dramatically rise from 2030, and Japanese population will become the oldest among 3 countries in the late 2030. In 2040, it is thought that the proportion of the population aged 65 and more in these countries will be similar at around 25%. 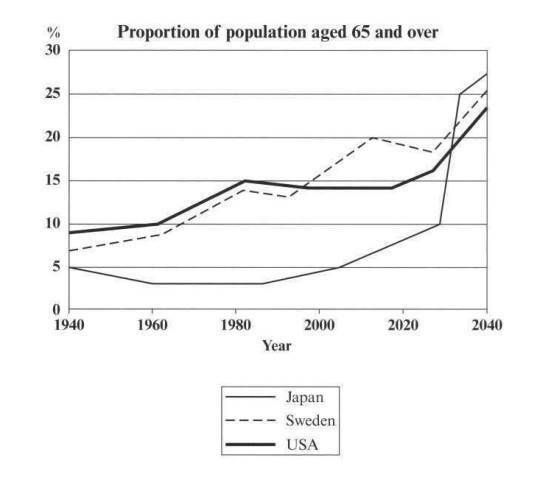 From 2000, it is predicted that Swedish population will become older than American, and Japanese aged population will suddenly boom and will become oldest among 3 countries. In 2040, people aged 65 and over accounted for a quarter of total population in 3 countries. Các bạn viết bài viết dưới đây để áp dụng các kiến thức về cấu trúc dự báo tương lai nhé. Sau đó comment vào bên dưới nhé. 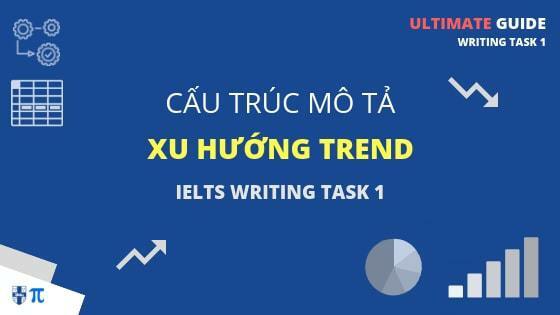 Các bạn học sinh các lớp IELTS Trực tiếp, IELTS Online và IELTS Writing Advanced làm bài nghiêm túc bằng cách comment ở dưới để giáo viên theo dõi tiến bộ và có feedback phù hợp cho lộ trình học. The line graph shows the past and projected finances for a local authority in New Zealand. From 2012, it is predicted that Rates revenue will increase from 1500 to 2500 in 2022. User changes will become the second big finances after Rates revenue and will grow to 2000 over the period 2012 to 2022. Borrowings is a fluctuation finances. In 2022, it is likely that Grants and subsidies will become the lowest finances . From 2012, it is likely that rate revenue will jump from 1500 to 2500 in 2022 and user changes will soar to 2000 in the period from 2012 to 2022. While borrowings is a fluctuation finance. And grants and subsidies peak at 2016, then the they drop from over 500 to 500. The line graph gives information about the number of finances for a local government in NewZealand in10 years period (from 2012 to 2022). 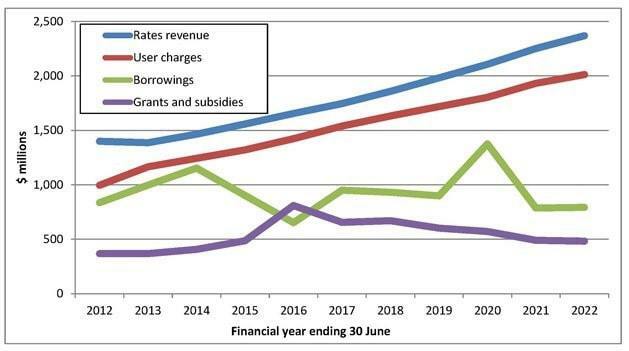 As can be seen that the proportion of rates revenue and user charges are increased while grants and subsidies and borrowing are not stabilized in the whole of the period. The line graph shows the rates revenue rose from 1400 million $ to 2000 million $ in 2019 and is expected to reach about 2400 million $ in 2022. Along with the increase in revenue, it is likely that the proportion of user charges will jump to double for 10 years. Besides, the number of borrowings has not stayed at the same level. After a plunge about 510 million $ in 2016, this one is predicted to go up and peak at the top about 1400 in 2020, then drop to 550 million $ in the following years. It is clear from the line graph that the money of grants and subsidies is the most stability. This one, which was slightly increased from 400 to 570million $ during the first 4 years, is forecasted to remain stable at 500 in 2022. Overall, from the line graph, we can look at the trend of 4 issues mentioned above and make an evaluation about the finances of a local authority in NewZealand. The graph shows the number of financial for a local authority in New Zealand in the period between 2012 and 2022. There was an increase the finance of Rates revenue and Users charges while Borrowings is a fluctuation finance. And Gants and subsidise have been stabilised. From the graph, the Rates revenue went up from 1400 millions $ to 2000 millions $ in 2019 and is predicted to about 2400 million $ in 2022. Similarity, the number of User charges will be reach 2000 million $ in 2022 which doubles in 2012. However, The proportion of Borrowings fluctuated from 2012 to 2019, and is forecasted to reach the peak of the top about 1400 million $ in 2020, then go down in 2022. As can be seen that the Grants and subsides stay at the same level for 10 years. There is a slightly increase of the Grants and subsides in 2016 with 570 million $, and is predicted to stay unchanged till 2022. In 2012, the amount of Rates revenue finance was about 1400 million while the figures for User charges finance was 1000 million. The figures for Borrowings finance and Giants and subsidies finance were lower, at about 700 million and 400 million respectively. In 2022, the amount of Rates revenue finance and User charges finance are expected to increased in 2400 million and 2000 million respectively. By contrast, projected growth in Borrowings finance is 600 million while the predicted fingures for Giants and subsidies finance is 500 million. The graph shows the past and projected finances for a local authority in New Zealand from 2012 to 2022. Looking at the graph, we can see it is predicted that revenue will to grow the most from under $1500 millions in 2012 and can reach nearly $2500 millions on the middle of 2022. The second grow rate is expected to be users changes. It will increase about $1000 millions within 10 year. However, borrowing is predicted to fluctuate unstable. It may drop to its lowest level in 2016 and reach it highest in 2020. Contrary to the growth of revenue and users changes, grants and subsidies are expected to increase slowly from 2012 until 2016 and to decrease until 2022 and nearly equal to the figure in 2012. Since 2018, the finance of rates revenue and user charges are predicted to be much higher than borrowings and grant and subsidies and probably continue to increase in the next 4 years. The finance of rates will reach up to $2400 million while the finance of user charges reach just above 2000. It is thought that the finance of borrowings will surge to $1400 million before an evenly decrease at $800 millions. The same situation with the finance of grant andsubsidies which is likely to slowly decrease from $700 to almost $500 million from 2018 to 2022. The line graph illustrates the number of finances for local politics in New Zealnd for a period of 10 years(from 2012 to 2022). Generally speaking, rates revenue and user charges are predicted to be increased while grants and subsidies seems to remain stable. Moreover, the forecast said borrowings will experience a dramatic fluctuation. There was an immense increase in rates revenue from 1,400$ million in the year of 2012 to 2,000 in 2019 and it willing to rise up to nearly 2,500$ million in the next 3 years. User charges is thought to climb up as rates revenue does. Starting at 1,000$ million in 2012, it will rapidly reach 2,000 in the 10 years following, becoming the second big finances after rates revenue. Borrowings fluctuated over the period, it was 900$ million at the begining then went up to 1,200 in 2014 and steadily fell down to 600$ million in 2016, which is the lowest point of the whole period. In the next following years, it is likely to reach the peak at 1,400$ million in 2020 before go back to 800$ million at the end. Grants and subsidies is believed to be stablised at around 500$ million for the whole 10 years. However, it slightly increased and peaked at 900$ million in the year 2016. Since 2012, it is predicted that both Rates revenue and User charges would increase quickly about 1000 million dollar in the next 10 years. The graph gives a rise of Rates revenue is expected to grow from 1500 million to 2500 milion dollar, and the number of User charges can be from 1000 million to 2000 dollar. A stability of both Borrowings and Grants and subsidies is predicted in the same time, from 2012 to 2022. But it is likely that the Grants and subsidies will be he lowest finance in 2022. From 2012, it is predicted that Rates revenue will go up from 1500 million $ to 2500 million $. User changes will become the second big finances after Rates revenue. It increases from 1000 million $ to 2000 million $ in 2022. Borrowings is a fluctuation finances. In 2022, it is predicted that Grants and subsidies will be the lowest finances. It is obvious that the Rates revenue and User changes show an uptrend in the period of 10 years from 2012 to 2022. From the graph, the values for Rates revenue and User changes was $1400 and $1000 million in 2012 and it is predicted to $2400 and $2000 million, respectively. However, the proportion of Borrowings fluctuated from 2012 to 2019, and it is forecasted to reach the highest value at $1400 million in 2020, then reduce to $800 million in 2022. In addition, the Grants and subsidies hold at the same level for 10 years. There is a slight increase to $570 million in2016 and it is predicted to undoubtedly decrease till 2022. The line graph gives information about the finances for a local authority in New Zealand in the past and predicts the future trends. There was an upward trend in the rates revenue and the user charges from 2012 to 2018. The rates revenue went up from about $1,500 million to nearly $2,000 million in 2018. The user charges also rose from $1,000 million in 2012 to about $1,600 million. The borrowings fluctuated between $600 million and $1,200 million during the first 8 years of the graph, while the the grants and subsidies varies from $400 million to $800 million during the same period of time. From 2019, it is predicted that the rates revenue will increase to $2,500 million at the end of 2022. The user charges is also predicted to continue to grow to $2,000 million. Over the period of prediction, the borrowings will reach a peak and then will remain stable. The grants and subsidies is expected to decrease to $500 million in four years. From 2020, it is expected that Rates Revenues and User charges will gradually increase to reach at almost $2,500 millions and $2,000 millions respectively in 2022. Meanwhile, the Borrowings is predicted to peak at $1,400 millions in 2020 before its sharp decline at around $800 millions in 2021 and remain this level in 2022. The most stable projected finance is Grant and subsidies with the expectation of slight down around $500 millions in the period from 2020 to 2022. The graph gives information about financial year ending 30 Jun for a local authority in New Zealand from 2012 to 2022. Since 2013, Rates revenue is predicated to be highest and probably continue to increase in the next 20 years, nearly 2.500 million$. The User charges is ranked 2nd up to 2000 million$. It had a fluctuation between 2016 and 2017. The Borrowings decreased from over 1000 million to under 750 million and to be lower than Grant and subsidies. Since 2017, A down turn of the Grants and subsidies is predicated for the next many years, the level achieved about 500 million. Although the Borrowings has a lot of fluctuation but it is likely to decline of 750 million and stay at same level util 2021. From the 2012, it is predicted that rates revenue and user charges will increase gradually, reaching the highest point at 2500 and 2000 millions respectively. The figure for Borrowings fluctuated from 2012 to 2019, and it is predicted to reach the highest point at 1400 millions in 2020, then reducing to 800 millions in 2022. The Grants and subsidies hold at the same level for 10 years. There is a slight increase to 750 million in 2016, with the expectation of reduction to 500 millions in 2022. Join our community for free lesson and free learning material. No Spam! You have my word!!! Check your email for the very first lesson!